HI 145 thermometers were developed for HACCP programs(Hazard analysis and critical control points) that need high standards of performance with simplicity of use. The durable T- shaped handle fits comfortably in hand and is ideal for applications where applied force is necessary for insertion, such as with incoming meat inspection and semi-frozen foods. 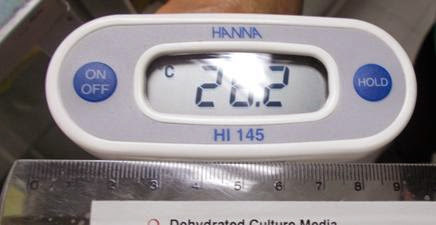 The LCD positioned on top of the meter allows for easy reading in cooking applications. หน้าปัทม์จอมีลักษณะเป็นสี่เหลี่ยมผืนผ้าขนาดโดยประมาณ 3 x 9.5 ซม. HI 145-20 are supplied with a 300 mm (12”) long stainless steel probe; ideal for monitoring hot liquids, such as deep frying and soup preparation.